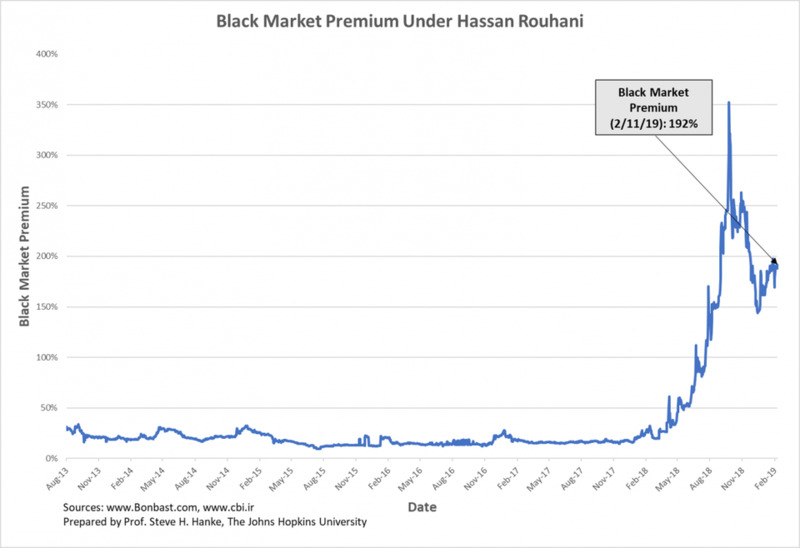 Another useful dimension for checking Iran’s temperature on a daily (if not minute-by-minute) basis is the black-market premium. 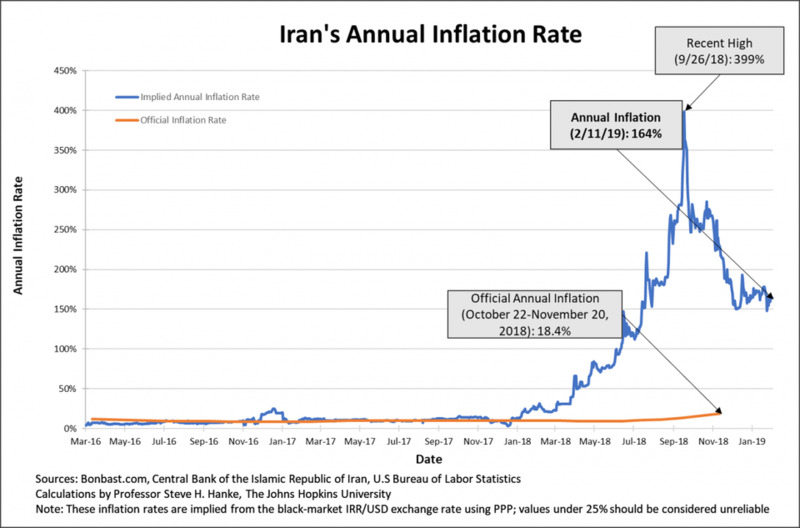 A 192% black-market premium indicates that Iranians were willing to pay 192% more for U.S. dollars in the black-market than if they were lucky enough (read: privileged enough) to obtain them at the official exchange rate. 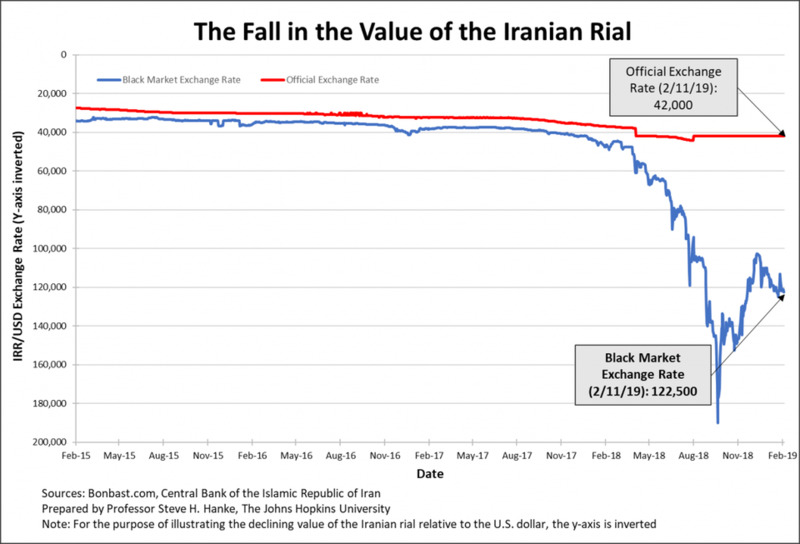 To follow how Iranians perceive both the internal and foreign zigs and zags of the state of affairs they face, there is no better up-to-the-minute, measure than the IRR/USD black-market premium. The human condition inhabits a vast continuum between "miserable" and "happy." In the sphere of economics, misery tends to flow from high inflation, steep borrowing costs, and unemployment. The most surefire way to mitigate that misery is economic growth. All else equal, happiness tends to blossom when growth is strong, inflation and interest rates are low, and jobs are plentiful. Many countries measure and report these economic metrics on a regular basis. Comparing them, nation by nation, can tell us a lot about where in the world people are sad or happy. The first Misery Index was constructed by economist Art Okun in the 1960s as a way to provide President Lyndon B. Johnson with an easily digestible snapshot of the economy. That original Misery Index was just a simple sum of a nation’s annual inflation rate and its unemployment rate. The Index has been modified several times, first by Robert Barro of Harvard and then by myself.